The Systems Optimization Group deals with concepts, methods, and tools for large-scale optimization in the context of systems design and analysis. Our research and teaching focus on randomized search algorithms, in particular biologically inspired techniques, and multiobjective optimization from three different angles: (i) theoretical foundations, (ii) algorithm design and implementation, and (iii) applied decision support in systems biology and engineering design. You can also visit us in the ETZ building of ETH; our offices are located on the G floor. Please check the personal web pages to contact individual group members. If you have any suggestions, comments, or questions, feel free to contact our webmaster. 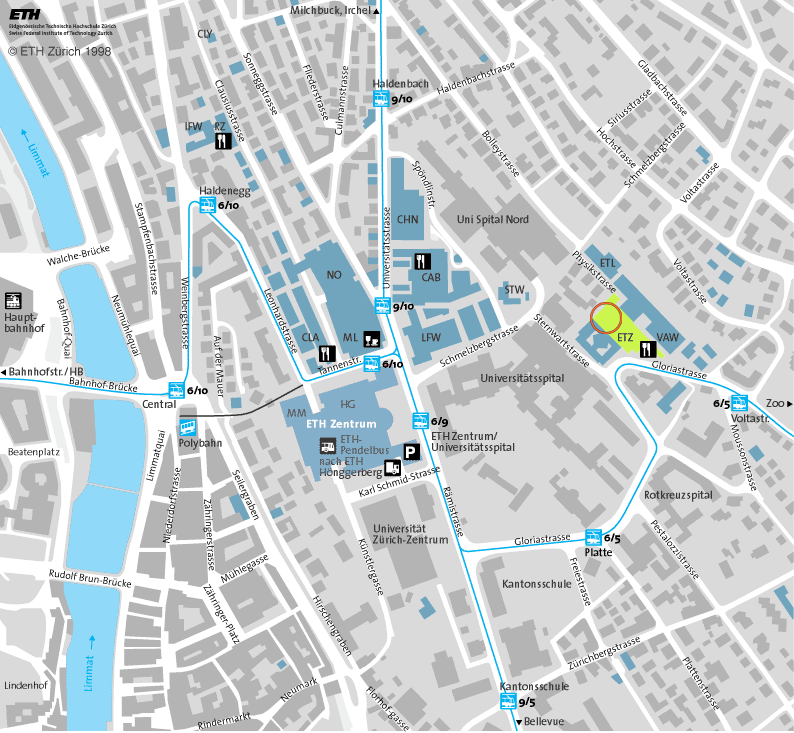 Our offices are located in the ETZ building at Gloriastrasse 35 near the ETH main building. A map with our location can be found on map.search.ch. You can either take the train to Zurich mainstation (Zürich Hauptbahnhof) or take a taxi (approx. 60 Swiss Francs) to Gloriastrasse 35. You can take the tram number 6 from Bahnhofstrasse/Hauptbahnhof to Voltastrasse (5th stop). After going back approx. 100m (300ft) you find the main entrance to the electrical engineering building. More details on how to get to the ETZ building can be found on the visitor information pages of the Department of Information Technology and Electrical Engineering.